Transylvania University is in the heart of downtown Lexington, Kentucky. 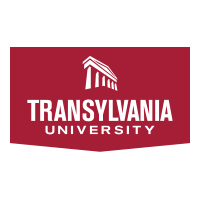 Webster University welcomes its newest Webster International Network of Schools (WINS) member, Transylvania University, a highly ranked liberal arts college in the heart of Lexington, Kentucky. Founded in 1780, Transylvania (known as "Transy"), is proud to be the 16th oldest institution of higher learning in the U.S., and the first west of the Allegheny Mountains. The institution has a total enrollment of 1,050 students and offers 38 majors and 37 minors across a number of areas, including pre-professional preparation for law, medicine, engineering and accounting. Transy encourages all students to study abroad, regardless of major, and offers a wide array of programs. Last week, Webster's international campuses became a part of these programs and will provide a set of unique, high-quality learning opportunities for Transy students. The university's director of Study Abroad, Kathy Simon, attended the WINS conference and site visit last summer in Athens, Greece, along with a number of other current and prospective partners. For more information on Transylvania University's structure and study abroad programs, visit www.transy.edu/about/quick-facts and www.transy.edu/academics/study-abroad.